I tried going Crisco and Vaseline-less with the boy for a week and using regular eczema lotions and it began to come back rapidly so... here we are... Crisco and Vaseline... the one thing that works. This time I threw in a little bit of Coconut Oil for good measure (I tried just coconut oil for a tiny bit but his skin just absorbed it like it wasn't even there and was still dry). So here you have it. 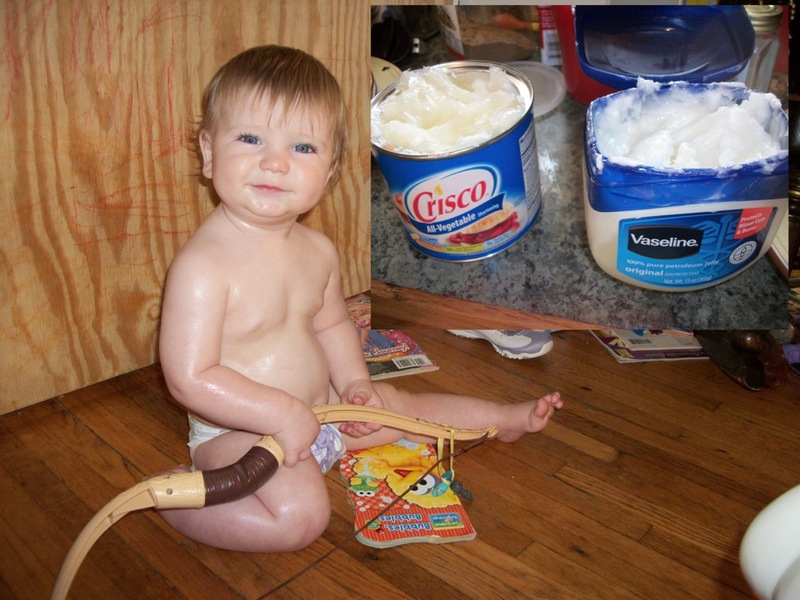 The Vaseline and Crisco baby. If you'd told me before Patrick that slathering one of my children with Crisco and Vaseline twice a day was going to become a doctor ordered part of our routine I don't think I would have believed you. But it works... So I guess that's that!